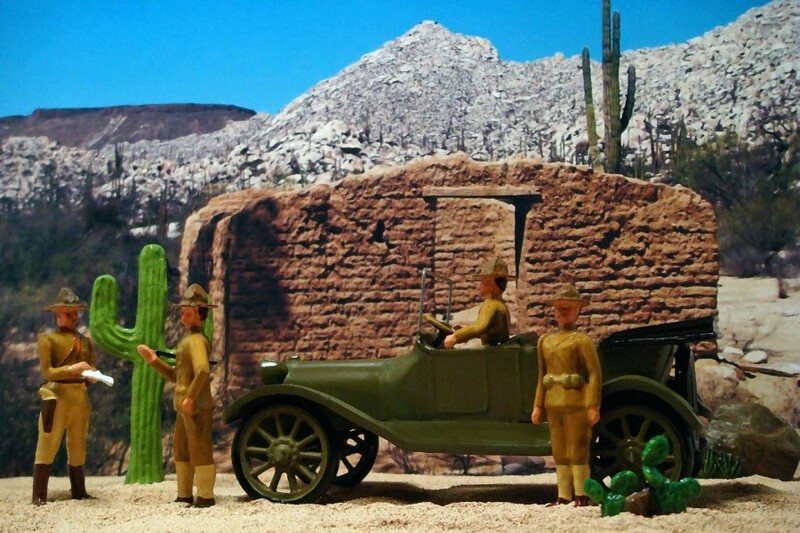 Members of the US Army attempt to gather information on the whereabouts of Mexican Rebel leader Pancho Villa as part of the 1916-17 so-called Punitive Expedition. 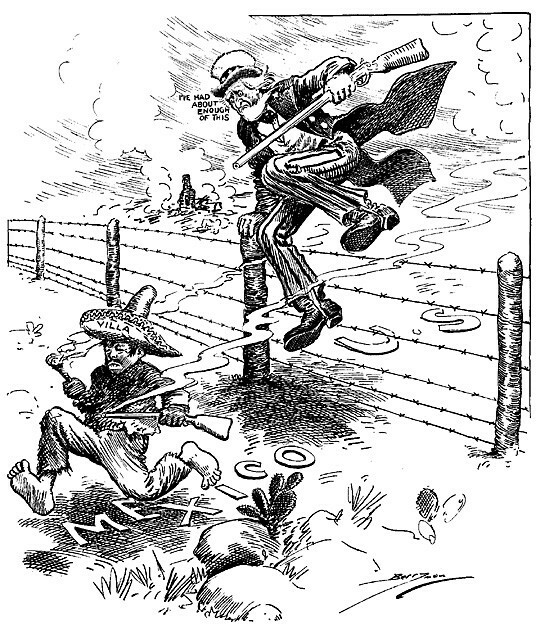 "The Pancho Villa Expedition�officially known in the United States as the Mexican Expedition and sometimes colloquially referred to as the Punitive Expedition�was a military operation conducted by the United States Army against the paramilitary forces of Mexican revolutionary Francisco "Pancho" Villa from March 14, 1916 to February 7, 1917 during the Mexican Revolution 1910-1920. The expedition was launched in retaliation for Villa's attack on the town of Columbus, New Mexico, and was the most remembered event of the Border War. The expedition had one objective: to capture Villa dead or alive. Despite successfully locating Villa and defeating the force under his command, Villa himself escaped American forces and the operation came to a close."